Since 1899, Miele has been dedicated to producing state-of-the-art home appliances, and we support your passion for a cleaner, healthier and more comfortable home with our innovative, award-winning collection of vacuum cleaners. 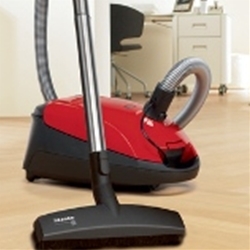 Our canister vacuum cleaners help you care for all aspects of your home. Miele’s advanced, technologically-superior filtration systems also improve the quality of air in your home.